As I reflect on last week’s Thanksgiving celebrations, I realize how thankful I am for being able to give my students the opportunity to give back to the community. Early last month, the students to whom I teach cane travel in North Central Louisiana expressed their love for shopping, desserts, and—of course—”easy routes!” With the weather getting colder, it became time to hold some sessions indoors. So, we went shopping, though not for ourselves or our families. We partnered with the Domestic Abuse Resistance Team (DART), a non-profit based here in Ruston, and purchased gifts for children of the families who received services from the team. The students learned how to work with the customer service staff (whom we call “shopping assistants”) to find the items that they needed from the store shelves. 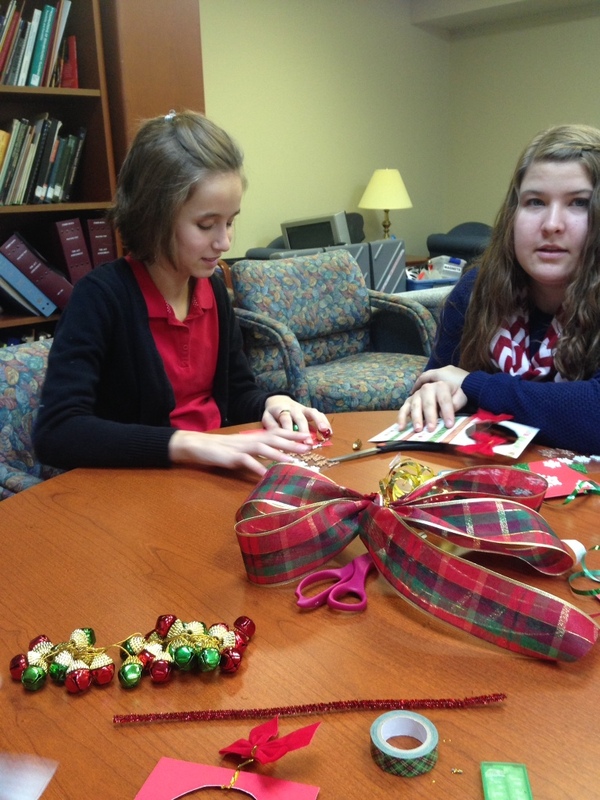 In preparing for the delivery of gifts, some students located the DART office using only the address and their knowledge of the city’s address system during their cane travel lessons. During our after school program (called Braille and Cane Club), Rekendra expressed her love for easy routes realizing that the DART office is only a few blocks north of the Louisiana Center for the Blind. At the annual Thanksgiving dinner hosted by the Louisiana Center for the Blind, our students celebrated the friends and family for which they are thankful. Oh, and Lindsay, Rekendra, Malayja, and Maniya unashamedly told me that they were very thankful for the dessert table! Maniya even showed another student some cane travel techniques to find the dessert table and carry her own plate. 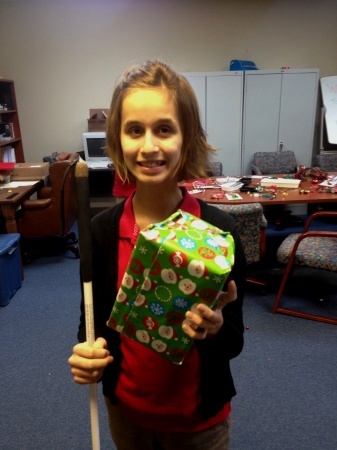 So, just as we are thankful for being able to bless the families at DART with gifts this holiday season, we are also thankful for positive blind role models who volunteer each month at our outreach events, the gift of cane travel, and the help of shopping assistants at the stores!